How to choose the best hydraulic oil. The temperature affects on air compressor oil. Save fuel by using synthetic gear oil. Is there a lifetime engine oil? Is it really possible to save fuel using synthetic gear oil? With the ever increasing price of fuel (Diesel and petrol) the internet is full of fuel saving tips but not many mention how to save fuel using synthetic gear oil. It’s easy to accomplish and works everytime. The basics behind getting better mileage from a vehicle are simple; decrease rolling resistance, improve aerodynamics, reduce weight, and improve the powertrain's efficiency. Proper tyre inflation helps minimize rolling resistance. Help your vehicle's aerodynamics by not driving with luggage carriers, bike racks, to spoil the aerodynamics. the trunk and cargo areas because additional weight requires more work to accelerate the vehicle. Improving the efficiency of the vehicle's powertrain costs a bit and takes a little effort, but it will help improve mileage as much as 5 percent. The simplest way to save fuel by improving powertrain efficiency is to switch to synthetic oils at the next oil change service. Test data shows that changing engine and transmission oils can improve fuel economy by about 4.5 percent. Making minor changes such as these can help you boost the economy of the vehicle you're currently driving. Keep in mind that even a four-percent gain in fuel economy in a vehicle that currently achieves 10lt/ 100km will only be 0,4 lt/100km. But this equates to about two lt/ tank or roughly R20/ tank saving. Looked at over the long term, going the extra mile to achieve improved efficiency is worth the effort. Here are some tips to follow to save fuel using synthetic gear oil. Switch to a synthetic transmission fluid of the correct grade for your vehicle. Synthetic transmission fluids vary but some companies claim gains of up to 1% to 2% in fuel economy just by switching the standard transmission fluid to synthetic lube. Synthetic transmission fluid can also extend oil change intervals, thereby also saving money. Transmission fluid lasts much longer than motor oil and it’s not uncommon for transmission fluid to extend to 200,000 km’s. Synthetic transmission fluids also reduce the operating temperature of the transmission. A paper published by a professional engineering society found that synthetic engine and transmission lubricants could improve fuel economy by 5 percent, with greater gains being possible at lower speeds. Another paper from this same organization reported that fuel savings using synthetic gear lubricants of about 1 to 2 percent. Trucks also save fuel using synthetic gear oil! European research demonstrates a 3 to 5 percent gain in truck fuel economy using synthetic engine lubricants and a 1 to 2 percent gain using synthetic transmission lubricants. A European national trucking association reported that synthetic transmission and axle lubricants improved fuel economy by 0.5 percent in the summer and 2 percent in the winter (viscosity is temperature-dependent.). Synthetic and semi-synthetic lubricants typically cost more than conventional mineral oil lubricants, with truck service stations suggesting that semi-synthetic oils cost about 50 percent more than conventional mineral oils. However, for most trucks, the fuel cost savings generally outweigh the higher product cost. Savings and benefits of using synthetic gear oil and engine lube. A study in America determined that the combined effect of low-viscosity synthetic engine oils and drive train lubricants improved fuel economy by at least 3 percent, saving nearly 485 gallons of fuel per year for a typical combination truck. Even with the higher cost of the synthetic oil, truck owners saved more than $1,680 in fuel per year. Additional cost savings were also possible due to reduced wear and maintenance. Switching to low-viscosity lubricants reduced greenhouse gas emissions by 4.93 metric tons per year for each truck. Whether you’re a truck operator or just want to save some money on the household budget give Habot Synthetic Lubricants a call – we have a wide range of quality lubricants to meet your requirements if you want to save fuel using synthetic gear oil. Very informative post. Your post really gonna help the people like me who are looking for such terms and info.... I am glad i visited here and learned. In world fuel, water, electricity and environment is more important in human life. According to your blog I learn how to keep save fuel for our future life. I will tell to friends to see your blog because those guys wasting the fuel this blog help to save fuel. Thank you for posting this blog. 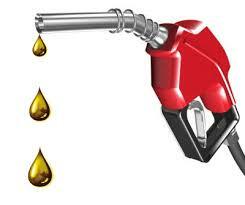 Fuel is very important for cars and most important to is to saving it. Synthetic Oil can be helpful for such conditions. Most fuels we are talking fossil fuels that have taken millions of year to form from the dead plants and animals under the pressure exerted deep inside the earth. So this blog is very useful to all to save our country thank you for posting. Save fuel, Save Water, Save Electricity, Save Environment, Saving fuel, Fuel, Water, Electricity, Environment. Tactical Oilfield Products,strive to provide solutions thru premium products while offering the most professional, experienced & ethical service in the oil industry. This is a great post it shows some information and best advice I needs for a blog. Thanks and keep on posting. I want to know that Which is better synthetic engine oil? Your article has been extremely informative and it was very helpful, great article. Keep it up !I want to know that Which is better synthetic engine oil? All your tips and tricks are wonderful. Your blog is very helpful for oiling. I am looking products for reducing friction, smoother drilling and controlling lost circulation in seepages. Suggest me some best one.